I'm pumped to hear that so many of you are experimenting with a primal/paleo or ketogenic way of eating. Woot! I'm also hearing about some great successes you're having; better skin, pounds lost, and energy regained. I've naturally fallen into a daily practice of 18/6 intermittent fasting, which means I don't eat my first meal until about 2 p.m. If I finish eating by 8 pm and go to bed by 11 p.m., then that means I'm doing a natural intermittent fast of about 18 hours and am getting in all of my eating in a short 6 hour window. This is called an 18/6 intermittent fast (IF) and it's how I'm healing my insulin resistance. Increasing the number of hours in which you do not eat allows your insulin to stay low and that allows your body to burn fat for fuel, lose weight, and heal. 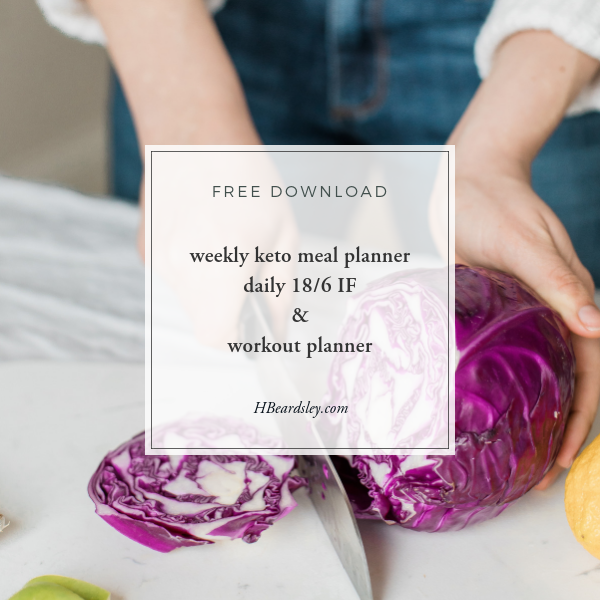 Daily 18/6 IF is so much easier if you meal plan and prep in advance and know what workouts you're planning ahead for the week, so I created a printable PDF to keep all of those things in one place at a glance. 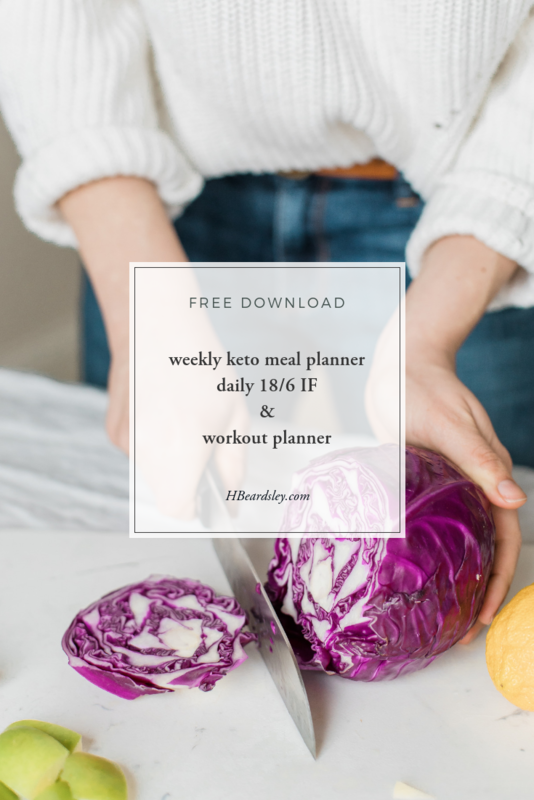 This handy little planner tool will help remind you of your 18-hour eating window, what your planned meals are for lunch and dinner, when and what to meal prep, and what your planned fasted workout activities are. If you like to eat more than two meals a day there is flexible space to write that in too. Isn't that handy? It's my gift to my email subscribers. subscribe below and you'll get an email from me with instructions on how to download all the free things in the resource library.